Positioned a kilometre to the southwest of central Melbourne, the state capital, visitors can find the vibrant district of South Wharf. 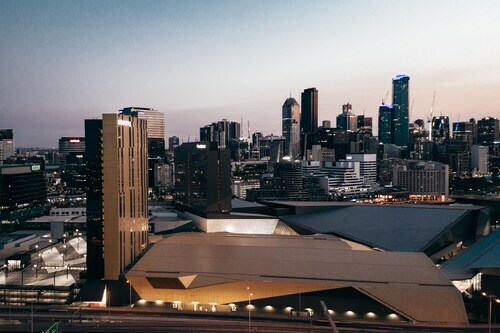 The Crown Casino and Entertainment Complex, Federation Square and St. Kilda Beach are just the beginning of the wonderful attractions Melbourne has to offer. 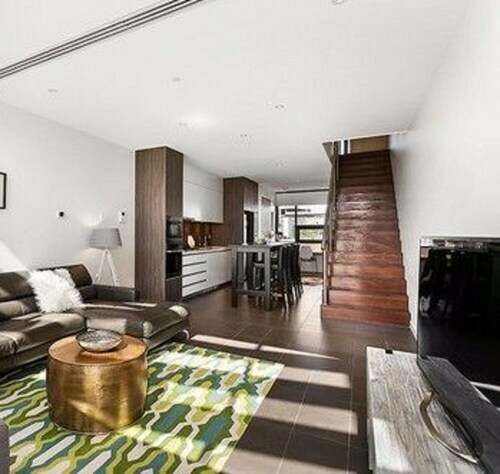 Are you staying in South Wharf? You'll find loads to visit in and around the town, such as the Royal Botanic Gardens and the National Gallery of Victoria. It's unnecessary to spend half the day driving in order to reach Eureka Tower. You can stay nearby at the AKOM Docklands, Docklands Private Collection of Apartments - NewQuay, The Sebel Residences, Melbourne Docklands, Mantra Southbank Melbourne and Melbourne Short Stay Apartments MP Deluxe and save your time for exploring the area. Not all museums house old rocks and paintings. National Sports Museum houses a collection of memorabilia that is sure to thrill any sports fanatic. Book a room at the Crown Towers and Park Hyatt Melbourne to be nearby. Cooks Cottage will most definitely delight both history enthusiasts and design experts. Try the Grand Hyatt Melbourne and The Westin Melbourne to be within easy reach of this site. Stopping by Oriental Teahouse is an excellent way to start your day in South Wharf. Just follow the aroma of roasting coffee beans! If coffee and cake simply isn't going to cut it, go and browse the impressive menu at Vibe Savoy Hotel. Everyone will find something to their liking at this well-patronised eatery. If you're after a few drinks before heading back to the hotel, why not pop into Nomads Melbourne? Who knows, the bartender may even be able to give you some tips on what you can see tomorrow! You may want to consider securing a hotel in Yarra Riverfront or Southbank Promenade when organising your trip to South Wharf. Yarra Riverfront is only 0.5 kilometres from South Wharf and Southbank Promenade is around 0.7 kilometres away from South Wharf. Turn your South Wharf travel plans into real life experiences with Wotif. From accommodations to activities, Wotif will be able to sort it out. How Much is a Hotel Room in South Wharf? 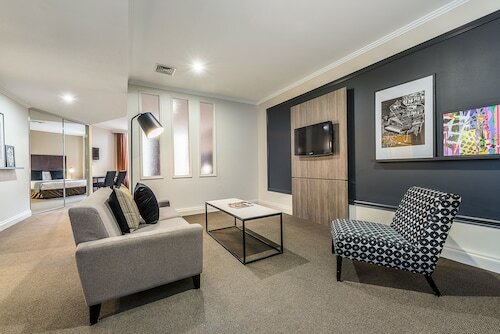 Hotels in South Wharf start at AU$215 per night. Prices and availability subject to change. Additional terms may apply.